It’s here. After months (years) of prayers, listening, waiting, dreaming, tinkering, playing…it’s here. Inspired by Al Andrews, to become an improbable philanthropist. Inspired by Rebecca at Better Life Bags (where I first admitted my dream “Design something awesome + Change people’s lives”), Megan at She Does Justice and Sarah at BeCause to start a business that combines creative talents & giving. Inspired by Mike Donehey to sponsor children through Compassion. Grateful for the encouragement of friends and strangers that have purchased bags already. Come on over to GingerLaneGoods.com or the Ginger Lane Goods Etsy store or the Spoonflower fabric store! As I’ve said before, I’m a huge fan of Al Andrews and his steps to becoming a philanthropist. To raise money he wrote and published a book, The boy, the kite and the wind, and is giving away 100% of the net profits. Awesome. The current project that is supported by the sales of his book is Thistle Farms. Thistle Farms is the social enterprise for women who have overcome prostitution, addiction and life on the streets, as part of the residential program Magdalene. 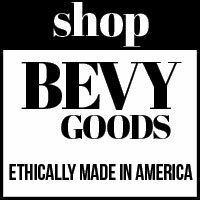 They create natural bath and body products, the proceeds from which benefit them directly. But the book proceeds benefit in a very specific, important way. Thistle Farms has a need. In their manufacturing facility, the utility elevator has long been defunct. In fact, the elevator shaft has been covered with sheet rock. Currently, women must carry 50 lb boxes of product from one floor to another or push them around the building on carts. A utility elevator would make a huge difference in their work environment, and increase productivity in their business. Ultimately, it is yet another way the lives of these women and their families can be impacted for the good. Buy The boy, the kite and the wind and directly support buying the women of Thistle Farms a utility elevator lift. Buy a book, help buy an elevator! Purchase items from Thistle Farms: body butters, hand-poured candle, lotions, gels – so many great products! 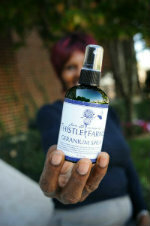 Read more about Thistle Farms. I have a dream of becoming a philanthropist, of acquiring the financial resources to contribute generously to various non-profits around the world that are making an impact for good. But there’s a big problem. Philanthropists have a lot of money. I, on the other hand, do not. So I’ve set out to find a way to make this improbable dream a reality. My plan is to start a business (write a children’s book), see it become successful, and give away 100% of the net profits. Imagine the good that could be done if everyone gave up one of their weekly Venti Caramel Macchiatos and donated that money instead? Or if we took an hour a week and gave back to our community? Or if we taught our children that giving is really better than receiving? I am still learning, so I look forward to going on this journey with you.